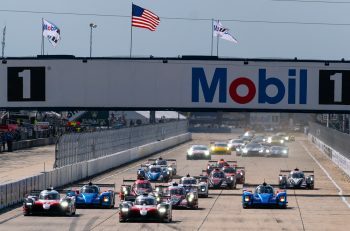 DSC has learned that a current (and as yet unidentified) LMP2 team has entered into discussions to purchase a Rebellion R-One to contest the 2015 FIA World Endurance Championship. Philippe Dumas confirmed to Radio Le Mans this afternoon that the #35 Oak Racing (G-Drive) Ligier Nissan was set to join the 2014 FIA WEC after Le Mans. There is no news yet on driver line-up for the Onroak-built machine. Oak Racing have confirmed that the #33 Ligier HPD is set to join the TUSCC later this season. This is the car that Enzo Potolicchio told DSC at the FIA WEC Prologue that he would enter in the final three rounds of TUSCC. What is not yet confirmed though is that Enzo will return to the 8Star Ferrari in the FIA WEC. A respected paddock source indicated to DSC today that they did not expect an immediate restoration of the original 2014 driver crew for the #90 car and again indicated that there had been a substantial shortfall in the funding thus far received for the programme. A senior Onroak source indicated that in addition to the Ligier HPD bound for TUSCC a second Ligier was also likely to feature later in the season. 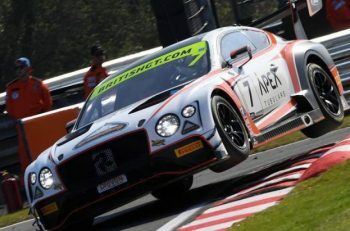 It is not yet clear whether this is an addition to the current Oak Racing Morgan Nissan or a replacement. Tracy Krohn was happy to confirm today that he is still looking at options to join the LMP2 ranks in 2015. Despite sources suggesting the imminent sale of a pair of new HPD Coupes to the team (and the presence of an HPD representative at the rear of the Krohn pit garage this afternoon), Tracy maintains that a full evaluation of all options is still underway, though the test drive of one of the Lotus T128 LMP2 cars is the only car so far to have been track tested by the team. Options for a race programme include TUSCC, WEC, NAEC or a combination of all of the above!